Internet is now become the fastest mean of communication and source of information and every person who use internet must have knowledge about Blogging. Blogging is something which delivers individual ideas, thoughts and information to other persons. In today’s world Blogging is become the profession and many professional bloggers are contributing something to internet world and sharing and providing their experience to other needy persons and individuals. Guest Blogging or Guest Posting is another term of Blogging in which an individual contribute and share his experience and content through someone else website or blog. Contributing content and experience from another source is called Guest Posting or Guest Blogging, but individual has to follow the guidelines and rules before starting Guest Post or become a Guest Blogger. Just write a content or post is not enough you must aware of basic principles of Guest Posting and Guest Blogging otherwise you may fall or waste your time and talent. The first rule of Guest Post is you must have full knowledge about the content which you're going to post or you must start some research before write any Guest Post or become Guest Blogger. Guest Posting and Guest Blogging has some advantages and has some disadvantages, if you are a good Blogger than you can start Guest Blogging or Guest Posting and can gain benefits of Guest Post. Read following Advantages and Disadvantages of Guest Posting and Guest Blogging which helps you to better understand Guest Posting and Guest Blogging benefits. Increase in Traffic: When you post blogs to other sites you can gain traffic including relevant links that might lead to your own web site. The more attractive and useful your site is to the reader, the greater is the chance of getting public attention thus gaining popularity and visitors. Helping other Blogger: Never lose a chance to help another blogger if you can possibly spare the time. Why? Because you’re building a blogging relationship, one that could pay off in the long run. Gains Reputation: The greater you show your skills by writing posts to other sites, the greater is the chance that people will get your attention and admire your posts. Reach to New Audiences: If you already have a readership, even a small one, it’s likely you’ve tapped into a portion of your potential audience. Advertising and Marketing: You can pay to put an ad on another blog. You can beg for a link. You can get dug and get 40K visitors in a day. But those all pale as methods of advertising compared to a guest post. As your traffic increases due to your guest posting, the revenue for your income may increase due to the possible increase of customers. Better Writing Experience and Skills: Practicing what you always do will make your work more polished and people will admire you for it. High Quality Content for Your Blog: Guest bloggers always try to give their best work in the form of guest posts. So you can expect high quality content in the form of guest posts on your blog. And in case you feel, some bloggers content quality is not acceptable to you, you can simply refuse them. Increase in Blog Exposure: Guest blogging increases the exposure of your blog. 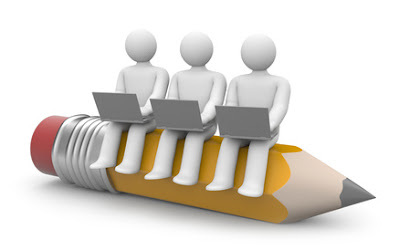 Guest blogging benefits the primary blogger and the guest blogger and mutually generates traffic for both individuals. Annoy Potential Readers: Guest Posts could annoy your regular readers. Regular visitors of your website visit because they like your opinions and wish to read more from you. Low Grade Content: Some guests authors take your blog up for granted and often submit posts that are written with lack of attention and an uncaring attitude. Irrelevant Posting and Blogging: Guest Posts can be unrelated to your blog's niche. This could not only frustrate your subscribers but also make Google think that your website is a content farm. Time is Money: Guest Blogging needs time and resources. Writing for others will give you backlinks, but if you write for your own blog then you will get traffic for those articles. Content Spamming: Opening your gates for guest posters means you should be ready for a lot of spam. It’s hard to tell what makes these spammers believe that the blog owner will even consider publishing the third rate promotional ads on their blog. No True Identity: Some blogs that accept guest posts are running on revenue sharing program, and most of them have lots and lots of categories, where they accept guest posts on almost all topics which have lack of true identity or content and individual itself. Follow Guest Blogger Rules: When you are accepting guest posts, you’re morally obligated to be generous and supportive to your guest authors. You have got to respond to their emails and at times requests regarding some minor edits after the post is published.